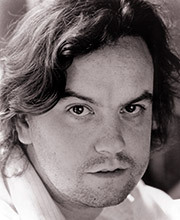 Richard McCabe trained at RADA. His Shakespearean roles include Puck, Tranio, Autolycus, Thersites, Apamantus and Iago at the RSC, where he is an Associate Artist, and Frank Ford at the RNT. Richard played Hamlet for Birmingham Rep and on a national tour in 2000, and recently reprised the role at Kronborg Castle in Elsinor.